Rate this Article Games are scientifically proven to beneficial to us time and time again. Here, we discuss how hidden object games can help you train your brain. Despite the still rampant “gaming addiction” scare that most parents are positively terrified of, video games are scientifically proven to beneficial to us time and time again. If you’d like to take a look at our discussion, please feel free to check out our article entitled, The Benefits of Gaming on WWGDB, and learn more about how different genres of games can help you. That said, today, we’ll be looking at how hidden object games in particular could help you and your brain. One of the most obvious advantages of hidden object games is that they are able to improve your ability to identify and find important things, particularly things you are looking for. 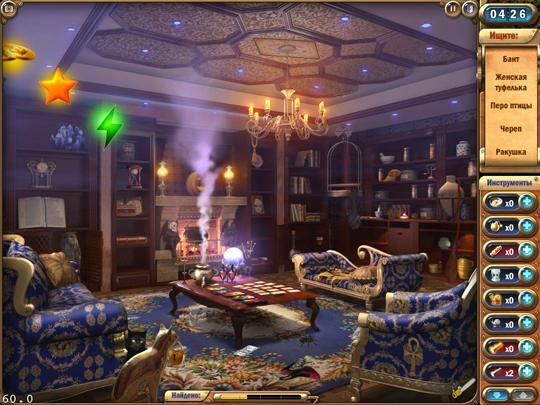 According to a research performed by Oei and Patterson, where they’ve asked their subjects to play Hidden Expedition for several hours per day, they discovered that hidden object games not only bolstered the subjects’ visual search performance but also spatial working memory (Oei & Patterson, 2013). This is not exactly a very surprising finding, I would say, as one of the first things you’ll need to learn when you start playing a hidden object game is the ability to focus and pay absolute attention on only the objects you need to find among the clutter of objects within a hidden object scene. You may need to do this searching in spite of the various obstacles the game may throw your way in an attempt to distract you or to challenge your object finding ability, such as dimming the entire scene or adding in a misty fog that is encroaching into the scene inch by inch. Taking Mystery Manor: Hidden Adventure as an example, in this game, there’s this will-o’-the-wisp phenomenon that will put in an extra amount of effort in hiding the items that you need to search for while speeding up time, giving you even less time than usual to find all the objects needed to win the level. There’s even a flying saucer phenomenon where the entire scene will be flipped over and your list of hidden objects will be expanded. Of course, if the scene is a timed one, then you’re definitely in for a challenge. With so many objects in the scene all out trying to capture your attention and a ticking countdown clock constantly nagging you to be quicker at the back of your mind, you’ll need all the focus you can muster to rapidly find the objects you need! Another important yet less known beneficial effect of playing hidden object games on the brain is linked to your vocabulary (Alghamdi, 2016; Huang & Yang, 2012). It may come as a surprise to you but, by simply playing hidden object games, you can actually expand your vocabulary and learn some new words, in spite that hidden object games are obviously not a word game. How so? Well, there may be times when the name of an unfamiliar object finds its way into your list of objects to find, say... a “halter”, which if you’re not a “horse person”, you’ll probably have never heard of that word. You can’t exactly find an object when you have absolutely no idea what that object is or looks like, right? Thus, when this happens, most people would either quickly look up the word by pausing the game if that option is available for them, or use their one of hints to find that particular item. Either way, you’ll learn what that word mean and inadvertently added a new word into your vocab. This is not some random stuff spouted by people without any scientific basis too! This is actually backed by science and more so by a recent study. You may take a look at the findings here: Untangling Multimedia Effects on EFL Incidental Vocabulary Learning via Playing an Online Hidden-Object Game. Personally, I would also like to add that some hidden object games, such as Aquascapes, has actually brought this word-learning process a step further. In this game, you’ll frequently encounter short and simple riddles or descriptions like “a circle with 4 holes”. In this case, you’ll not only need to find the object it refers to, you’ll need to first figure out what that object should be. Taking into account the time limit, Aquascapes can turn out to be quite a challenging yet uniquely fun game. Certain hidden object games, mainly hidden object adventures, place a lot of emphasis on interactive objects. This type of games is also able to help you train your brain by giving you the opportunity to learn how specific object interact with one another. This is something that both adults and children can benefit from since it’s pretty impossible for you to know about how everything is made up of. For example, in Queen’s Tales: Sins of the Past, you’ll not only need to find out where to use the tools you have, you will also need to find out how to combine items in your inventory to craft the tool you need in the first place! Last but not least, most hidden object games, including some of the simpler classic hidden object games where the hidden object scenes are actually the focus of the games, contain interesting and definitely brain-teasing, logic-based puzzles. These puzzles range from the more common spot the difference, word games, and jigsaw puzzles, to the rare and more complicated cryptic puzzles where you have to decipher difficult codes that can be difficult if you haven’t been paying attention to the subtle clues presented along your journey. It has been well-known and documented that puzzles boost brain power, so this is not something that nay-sayers can easily refute. 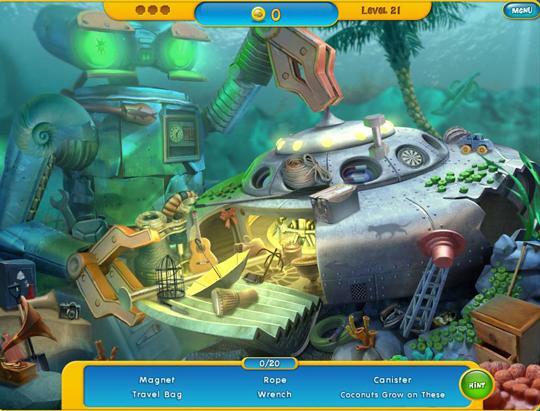 To sum up, hidden object games have proven through scientific research that they are able to improve your brain power by either challenging your brain with puzzles, bolster your ability to pay utmost attention despite literally searching for a needle a very messy scene, and expand vocabulary for both native English users and second language learners. Hence, hidden object games are not “just any other game” that you can play to relax – it’s the type of game that can help you train your brain as you play. Surely, hitting 2 birds with 1 stone makes playing hidden object games all the more worthwhile!